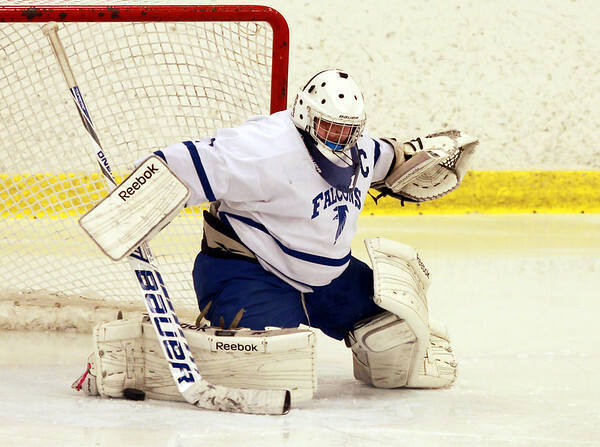 Danvers senior captain Alex Taylor makes a kick save against Beverly on Saturday afternoon. DAVID LE/Staff photo. 12/20/14.